It’s Employee Jewelry Pick Thursday! Today’s pick is from Colby at our Northeast location. 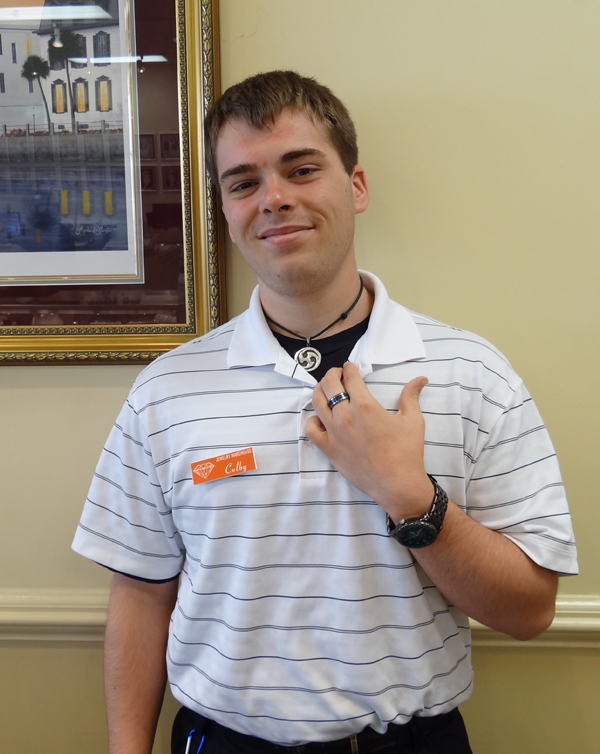 His pick is stainless steel and tungsten-carbide jewelry for men. Why did you pick this type of jewelry? – It’s very sturdy, hard and withstands wear and tear. It’s great for guys! It’s the type of jewelry guys can wear and you don’t have to worry about getting it scratched up. What are some tips about stainless steel jewelry or tungsten that you would like people to know? – Stainless steel jewelry is hypo-allergenic. You can wear it all the time and don’t have to worry about it tarnishing. It’s a great value because it’s a lot less expensive than silver, but still gives you that shiny metal look of silver. Tungsten rings are great for guys that are hard on their jewelry. It can pretty much stand up to anything! It will never bend or break! On the Tungsten Carbide ring, it has a resin center, will this scratch? – Yes, it can possibly scratch, but can be easily buffed out by Jeff in our jewelry repair shop. Can Tungsten Carbide rings be removed in an emergency? – Try soaking your finger in very cold water and applying hand lotion, petroleum jelly or vegetable oil to see if you are able to slide the tungsten ring off your finger. A big misconception is that you could lose your finger in the event you are unable to remove the ring in an emergency, but, in fact, you can use a set of vice grips to snap the ring to remove it. Any other information you’d like for others to know about? – The stainless steel chains are super hardy. Even the thin chains. They are a lot more durable than a sterling silver chain and they won’t turn or tarnish. Here is the pendant that Colby is wearing. He added a leather cord to the piece, which is not included. 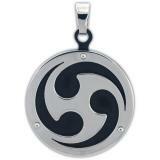 To see our entire collection of Stainless Steel jewelry, click here. Our Tungsten ring collection can be seen here. This entry was posted in Employee Picks, Jewelry and tagged employee jewelry pick, jewelry for men, jewelry warehouse, stainless steel, stainless steel jewelry, stainless steel jewelry for men. Bookmark the permalink.